Ce condo de deux chambres bien entretenu et familial situé dans la vallée de Mad River est l'endroit parfait pour une escapade d'hiver dans les montagnes Vertes du Vermont. Profitez du meilleur que le Vermont a à offrir: un accès facile à la fois à Sugarbush Resort et Mad River Glen Ski Area, ski de fond et raquettes sur les sentiers Catamount, motoneige sur le VAST (Vermont Association des voyageurs neige) sentiers balisés et plus encore! Les deux Sugarbush et Mad River Glen ont garderie programmes disponibles et en circulation école de ski pour adultes et enfants de tout niveau. Idéalement situé fait pour des excursions faciles à Burlington, Stowe, Waterbury, Vermont et d'autres attractions. Moins d'une heure de route en Burlington fournit tous les commerces, restaurants et attractions, comme l'aquarium et le Vermont Teddy Bear Factory, que la grande petite ville a à offrir. Il ya toujours quelque chose de disponible pour le faire, mais si vous voulez juste de mettre vos pieds et vous détendre, il n'y a pas de meilleur endroit que d'être au cœur de la forêt domaniale de Green Mountain. Nous espérons que vous apprécierez autant que nous le faisons (Désolé, nous ne divertir hiver location saisonnière). Great little place close to mountain. Really liked this condo. It’s about 10 min drive to sugarbush and even closer to Mt Ellen and Mad River. Probably my 2 favorite restaurants/pubs (Hideaway and Mad River Barn) are only 2 mins away. The condo is cosy and has everything you need. We had a short stay at the condo. It was clean and very convenient to the Mad River Barn. We love the Battleground and have stayed in many different units over the years. We were disappointed that this unit is such a long walk to the pool -- and we had no information about a key to open the locked gate on the steps up to the pool. We ultimately found that the gate at the end of the road up to the pool was open. We think it's important that renters know how to access the pool. The only other issues we had was that there was no bar soap in either shower and we were limited to two hand towels for the whole unit. Otherwise, we enjoyed the unit and found it clean and well stocked. Dear Michael, I am sorry you were disappointed in your stay. Our unit is on the far end of the complex which makes it quiet and a bit more secluded. The walk to the pool is only a few minutes, since the entire complex is not that large, but yes, we do have the farthest walk of all the units. The pool gate is supposed to be unlocked during its “open” hours so there should be no need for instructions on how to unlock it. I will clarify this with the property manager who manages the pool area. We do not provide soap in the showers, just hand soap for the sink, and typically expect renters to bring their own. I will make that more clear on our listing. There should have been additional towels in the closet off the living room. Your comments are appreciated as we are continuously looking to improve. Thank you! Our stay at Battleground #61 was awesome. The wood burning stove made us feel very cozy in the midst of a snow storm. This condo is a great location for ski bums. 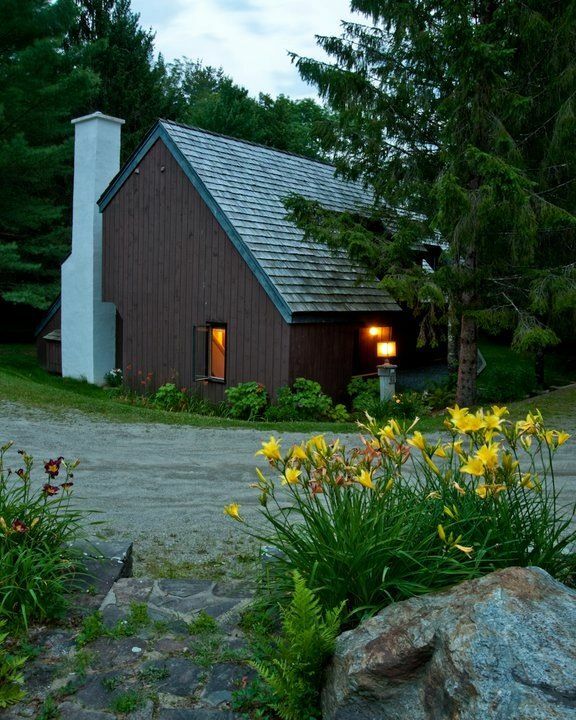 Just minutes from Sugarbush mountains and about an hour away from Smuggler's Notch. Would definitely stay here again. Perfect location for skiing. Clean, well maintained and pleasant. Mad River Glen and Mt Ellen were around 4 miles away with Sugarbush about 7 or 8. We would gladly stay there again. Clean organized home perfect for a ski weekend. The place was well equipped for us to hang out, cook, sleep, etc. Christine was easy to get ahold of and the location is great for both Lincoln and Mt. Ellen! 3% Credit card payment fee to be calculated and added to quote prior to acceptance of rental request. No seasonal rentals considered during January-April. Summer seasonals may be considered.